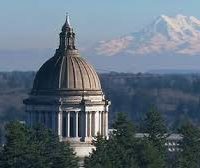 Washington’s legislative session is over but the conversation about sexual harassment at the state Capitol continues, with the House and Senate each convening groups to discuss potentials codes of conduct and how to address complaints. The Me Too movement has swept through statehouses across the country, including Washington’s, where revelations of misconduct at the state Capitol emerged in recent months, and where two House lawmakers are under increased scrutiny following misconduct allegations. Since November, more than 200 women – including lobbyists and a bipartisan group of more than 40 lawmakers – have signed a letter calling for a culture change at the Capitol.